Reading is something that I have always loved to do but for some reason stopped for a while. During the last month, while on holidays in Madeira, I have re-discovered my love for reading and I have actually gone through three books in three weeks which is surprising and something I am actually proud of. All those three books were by Jojo Moyes and yes, I have read Me Before You and After You but today I am here to review the book The Last Letter from Your Lover. 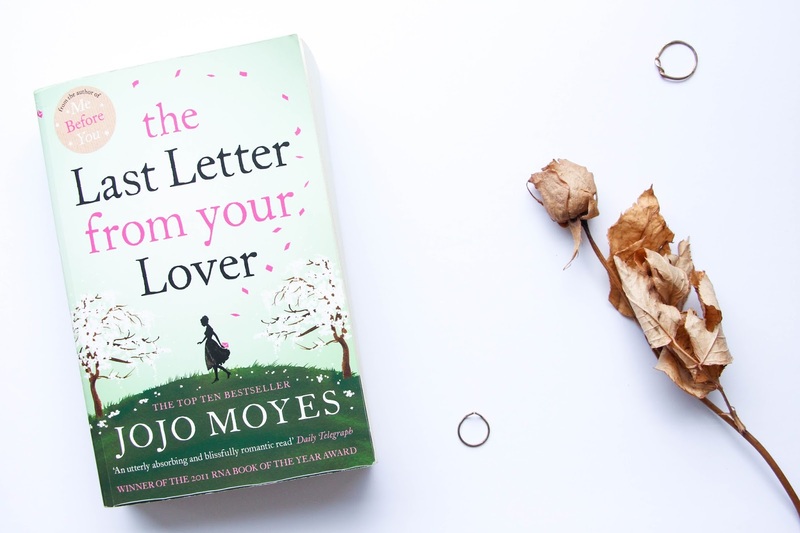 Novels are my favourite books to read – I am a romantic and maybe that is why I love Jojo Moyes books so much, maybe that is why I fell in love with The Last Letter from Your Lover. Her writing is simple, elegant and easy to read and this book is absolutely charming. I really don’t want to give you too many details about this novel but if you are a romantic like me, you will love it. This is a novel that will show you that fate is a thing and what is meant be, will happen. It shows us what true love is like – it never ends, it persists. It goes back to 1960 where things and couples lived in a totally different way, a way that surprised me. Women were not suppose to read newspaper, have knowledge. For men, it was enough if woman just looked pretty, classy and were a housewife. Love letters are the main thing in this book and because of that, it is so beautiful to read. I totally advise you to grab this book and give it a read. You will travel back in time, learn more about love, it will make you believe in fate and give you hope, showing you that true love exists. Yes, it is just a book but that is why I love to read. It makes me think out of the box, see things in very different ways. In my opinion, the books you read can frame you, your personality and this book definitely had a positive influence in my way of seeing love. I can’t recommend you this book enough.